When staffers from Iraq and Afghanistan Veterans of America meet with presidential campaigns later today, they won't just be urging them to talk about veterans issues. They'll also hand them a playbook on how to do it. The advocacy group released its latest policy agenda this week, a 71-page document detailing the top priorities of its membership, including calls for better mental health care, more resources for female veterans and improved accountability for Department of Veterans Affairs Department employees. IAVA hopes the work will serve not only as a road map for lawmakers on Capitol Hill but also an inspiration point for the presidential candidates, fewer than half of whom have a veterans issues page listed on their campaign websites. "We've been constantly hammering away at the need for the people who want to be commander in chief to address how they'll care for troops on the back end if they're committing them to battle on the front end," Matthew Miller, IAVA's chief policy officer, said. The group has a rally planned for Wednesday afternoon on the University of Colorado campus, just a few hours before the third Republican presidential primary debate is held there. The debate begins at 8 p.m. Eastern time and will feature the 10 top GOP candidates in the latest polls, and will be broadcast on CNBC. Defense and foreign policy issues have played key roles in the two previous GOP debates and the sole Democratic event, but veterans issues have received only a few fleeting references among the Republicans. Vermont independent Sen. Bernie Sanders, the former chairman of the Senate Veterans' Affairs Committee, was the only Democrat to face a veterans question in that party's debate. The IAVA policy agenda lists 49 points of action, some legislative but many also framed as calls to action for communities and local governments. Suicide prevention and VA reform are among the top priorities, but the list also includes improving employment services, equalizing benefits for partners of gay veterans and expanding support for military families. Miller said several of the presidential campaigns already have reached out to his group, and he's hopeful that will spark a broader national conversation on the issues. 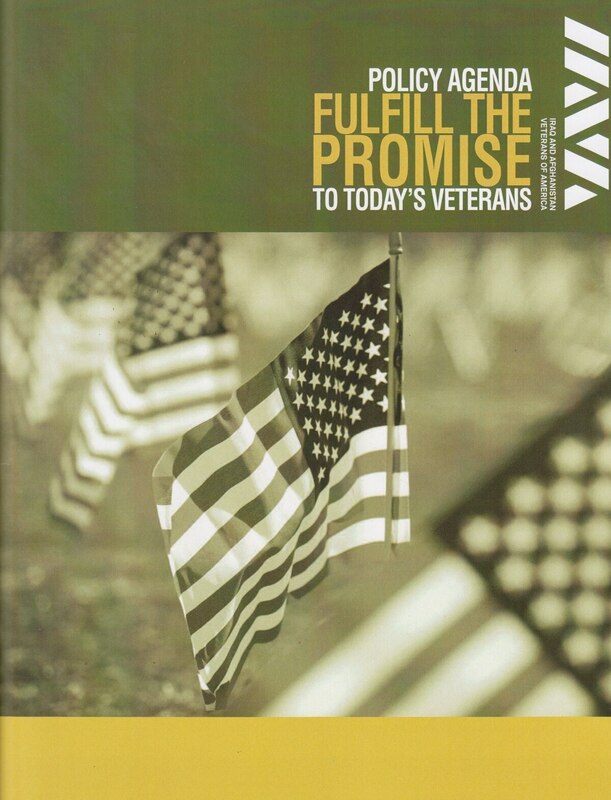 The policy agenda is available on IAVA’s website.